Get spectacular views of nearly 200 peaks in the Himalayas, including such legends as Mt. Everest, Mt. 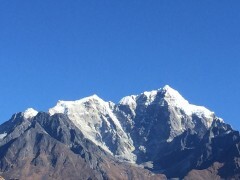 Lhotse and Mt. Choyu, from the comforts of a helicopter. Along with a certified pilot, you'll board a 5-seater helicopter at Kathmandu and lift-off to an altitude of almost 16,000 feet. You'll head straight towards Mt. Everest for some truly amazing, birds eye views of the icy gorges, gigantic glaciers, serpentine rivers and towering peaks that define the Himalayas. 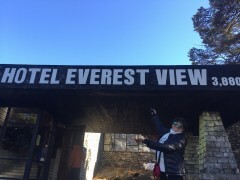 En route, you'll also stop to visit the popular Everest View Hotel. NOTE: The price displayed is calculated on the basis of 4 travellers. Increase or decrease in the number of travellers will lead to a change in price. The Himalayas are home to most of the tallest mountain peaks in the world, including the tallest of them all, Mt. Everest. Most travellers who ever dream of visiting the rugged terrain of these mountains need to be in excellent physical ability and participate in an long expedition. 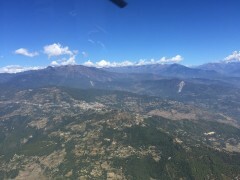 However, a helicopter tour gives you the chance of visiting the Himalayas to grab truly goose-bump inducing views of the heavenly mountains on a day trip that requires only basic physical ability. • Catch amazing views of famous peaks like the Mt. Everest, Mt. 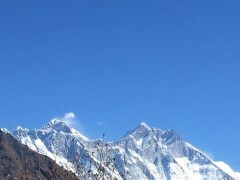 Lhotse and Mt. Choyu. • Get a different, birds eye view of Himalayan mountain peaks. • Visit the popular Everest View Hotel at Syangboche. Travellers are required to follow instructions of the tour guide during the helicopter tour of Mt. Everest. Consumption of alcohol, drugs, tobacco products and cigarettes is strictly prohibited during the helicopter tour of Mt. Everest. For cancellations made more than 30 days before departure of the Mt. Everest helicopter tour: 90% refund. For cancellations made 30-14 days before departure of the Mt. Everest helicopter tour: 80% refund. For cancellations made less than 14-1 day before departure of the Mt. 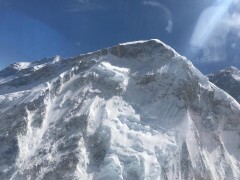 Everest helicopter tour: 70% refund. For cancellations made less than 24 hours before departure of the Mt. 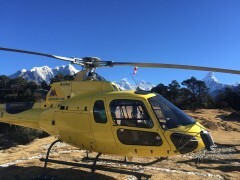 Everest helicopter tour: 50% refund. All refunds will be subject to a foreign curreny premium/discount. The price displayed is calculated on the basis of 4 travellers. Increase or decrease in the number of travellers will lead to a change in price. Prices displayed are subject to a foreign currency premium/discount. Travellers will be picked up from their hotel at approximately 06:00 hrs. However, the exact timing will be conveyed to travellers one day prior to the helicopter tour of Mt. Everest. The tour operator takes utmost care to ensure safety of the travellers and shall not be held responsible for any mishap, accident or loss of life during the helicopter tour of Mt. Everest. Helicopter tour of Mt. Everest! You'll be picked up from your hotel in Kathmandu city and transferred to the Tribhuvan International Airport. 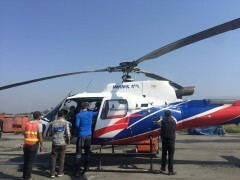 Here, you'll board a helicopter and lift-off for a flight to Syangboche. En route, you'll make a short stop for refueling at the Tenzing-Hillary Airport at Lukla. At Syangboche, you'll land and visit the popular Everest View hotel. After a 45-min break at Syangboche, you'll lift-off once again and fly to Mt. Kala Pattar to get spectacular views of Mt. Everest and surrounding peaks. Return back to Tribhuvan International Airport in Kathmandu, with another short refueling stop at Lukla. You'll be dropped back at your hotel in Kathmandu city. Your trip ends here. Get a whole different perspective of the snowy, white paradise. Personal expenses such as meals and beverages etc. This package does not include any accommodation or meals. Make sure to carry a good camera to take photos during the helicopter ride. Travellers are picked-up from their hotel in Kathmandu. Accordingly, they're required to communicate the address of their hotel to the tour operator after booking the trip. The tour operator will arrange your transport to the start point of the Mt. 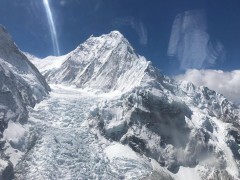 Everest helicopter tour.